Join window specialist Paul Schmidt for an afternoon all about windows. Paul will dispel common myths about old wood windows, explain the difference between original and replacement windows, and demonstrate common repairs that you can do at home. You’ll get a thorough overview on how to repair drafts, reglaze windows, fix rotted wood, and improve overall window operation. Most importantly, you’ll learn why old wood windows can be just as energy efficient as replacements. An absolute don’t-miss for anyone who cares for an old house, this class is brought to you by the Preservation Alliance of Minnesota in partnership with the Minnesota Historical Society & Blue Earth County Historical Society. This class is part of the preservation education program of PAM. 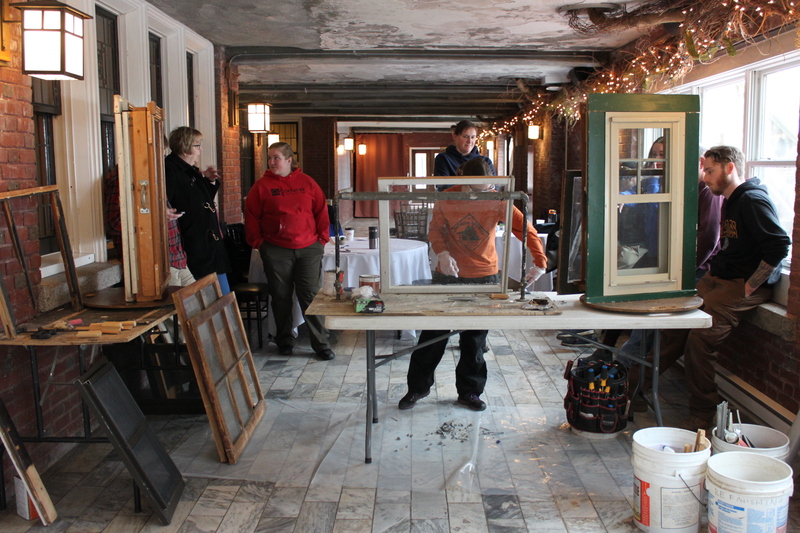 We are proud to offer a variety of classes for homeowners, students, Realtors, and others who love old buildings. Class is $35/person and needs to be done through the Preservation Alliance of Minnesota’s Website.